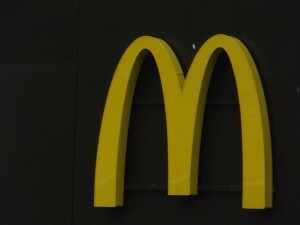 On Thursday, seven class-action lawsuits were filed against McDonald’s by employees who allege the company has committed wage theft violations. The suits, filed in New York, California and Michigan, claim the fast food giant made employees work off the clock, reduced hours on time cards and refused to pay workers for overtime. Additional claims specific to some of the suits allege that some workers were not getting timely brakes, receiving reimbursement for uniform cleaning or were not paid until customers came into the store — even if the employees had been there earlier. McDonald’s and our independent owner-operators share a concern and commitment to the well-being and fair treatment of all people who work in McDonald’s restaurants. We are currently reviewing the allegations in the lawsuits. McDonald’s and our independent franchisees are committed to undertaking a comprehensive investigation of the allegations and will take any necessary actions as they apply to our respective organizations.